Backlinks are less important for effective SEO. SEO is not only creating huge backlinks now a days. You can hire me if you have long-term goal at your business. From my personal experience I know it needs time to get results from SEO . You can check one of my blogs "সমকাল ব্লগ " written in my native bangla language. Just search for " সমকাল ব্লগ " on Google and see the SERP. Aren't you seeing my blog on the first page of Google? (My targeted country is Bangladesh for this blog. So results may vary depending on your country) . Currently it's #2 position on the Google SERP in Bangladesh! There are 70+ contents on this blog and average ranking position is about 6 on all the keywords according to the Google Search Console report. You will also see my blogger profile on the website proving my ownership. 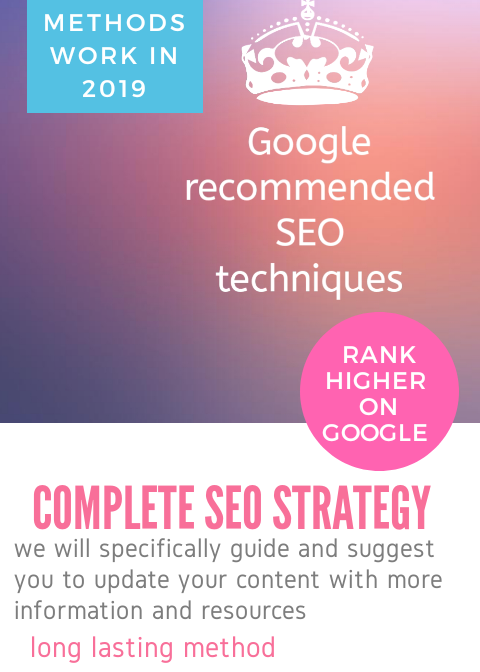 Better rankings of minimum 3 specific web pages of your website on Google SERP. Three specific web pages and maximum 6 keywords. Related LSI keyword's ranking improvement (limited). 30 days proper improvement inspection. Tips and guidelines to beat your competitors.